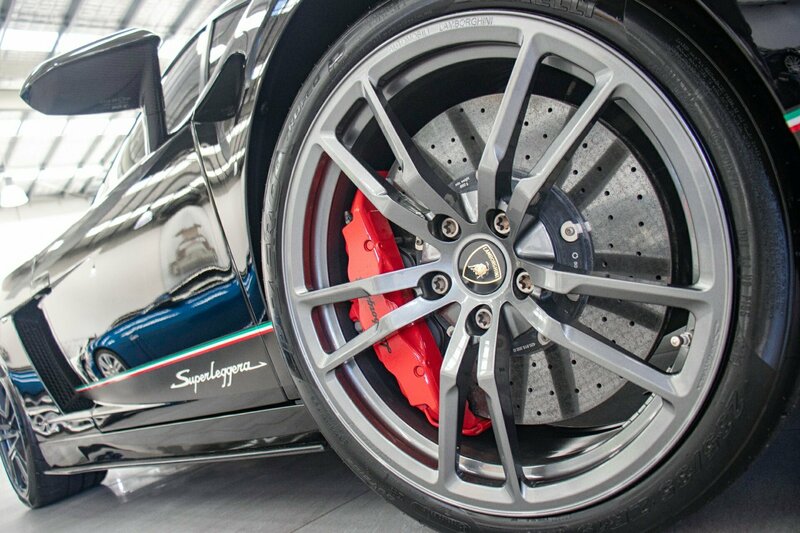 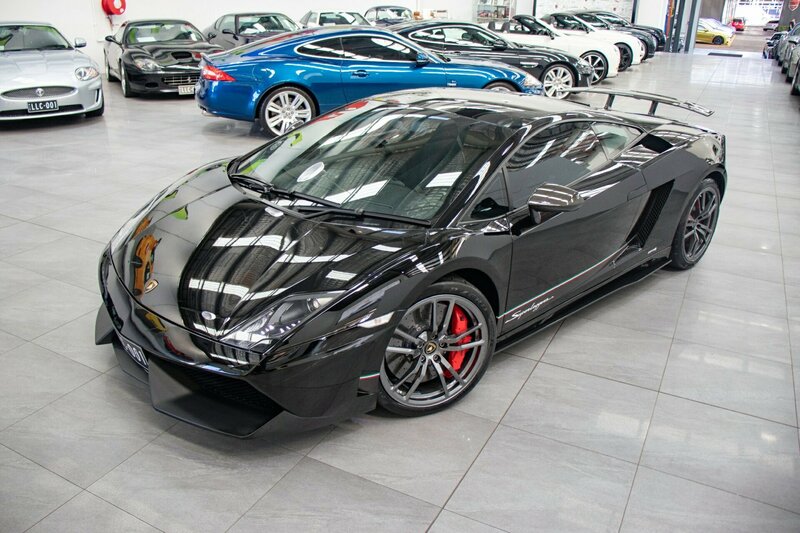 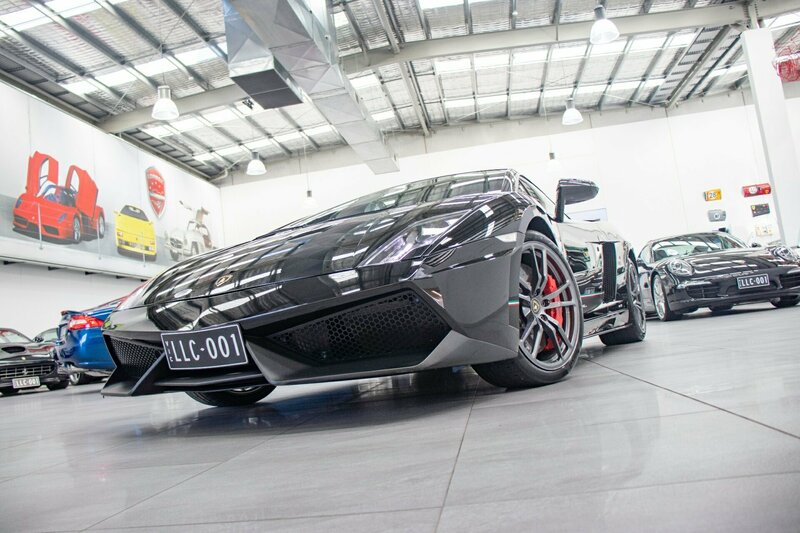 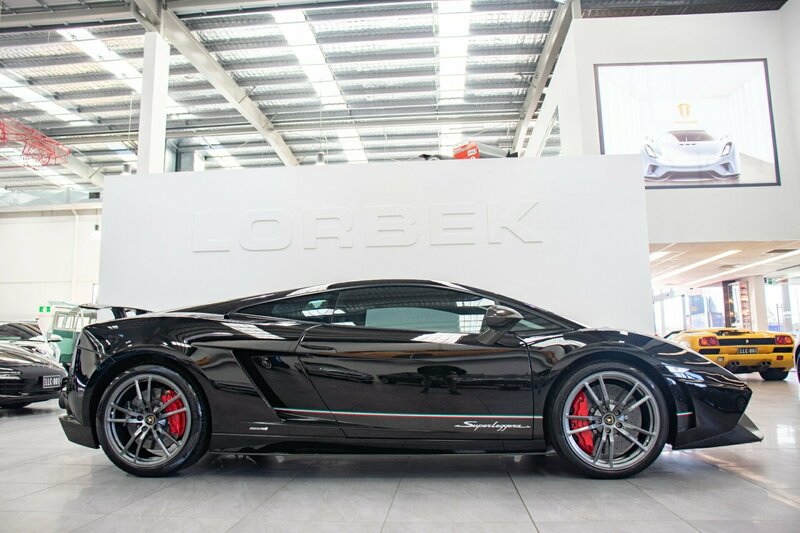 LAMBORGHINI GALLARDO LP570-4 SUPERLEGGERA 2012, as showroom new car condition. 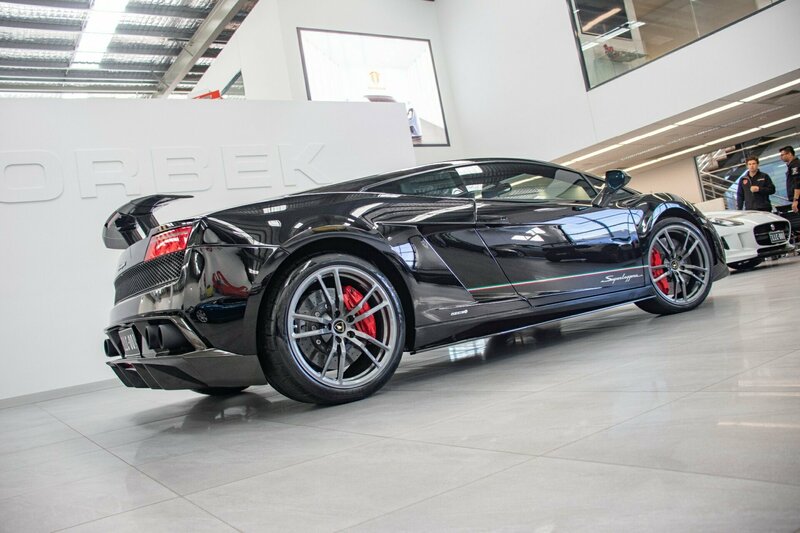 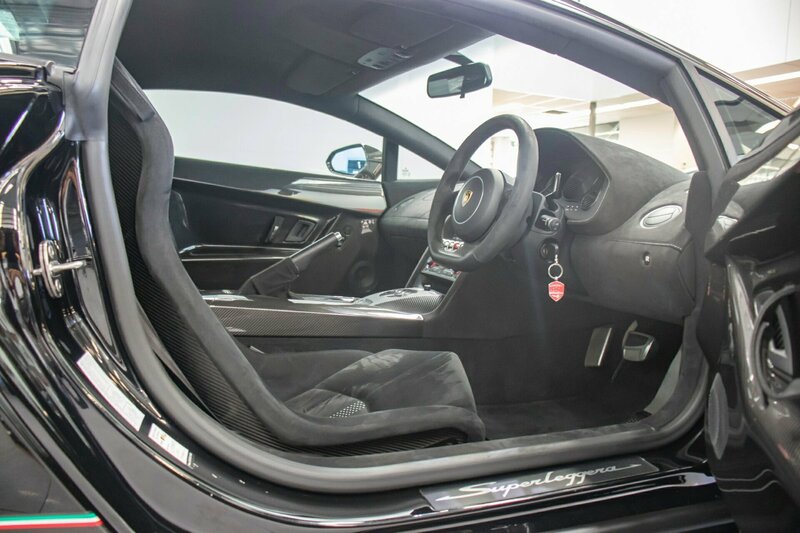 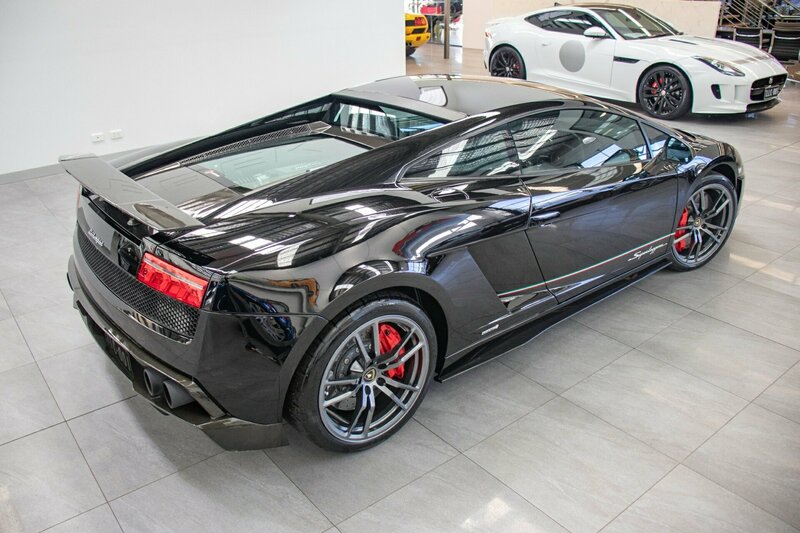 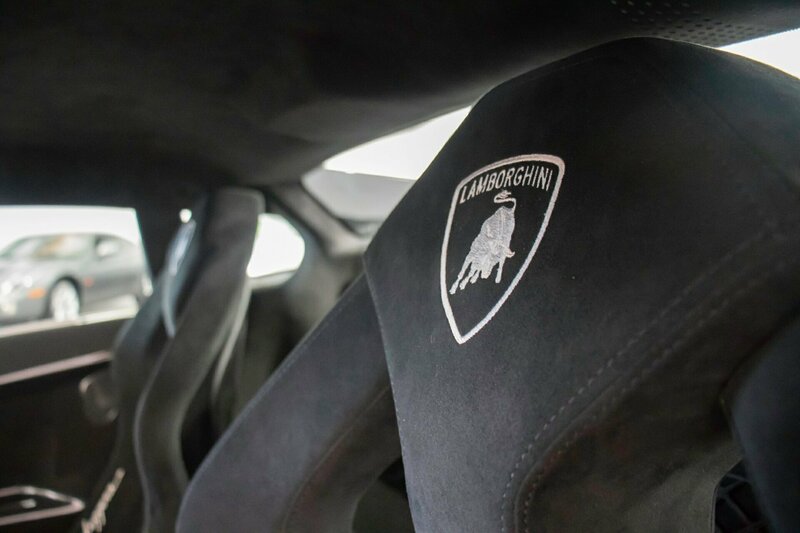 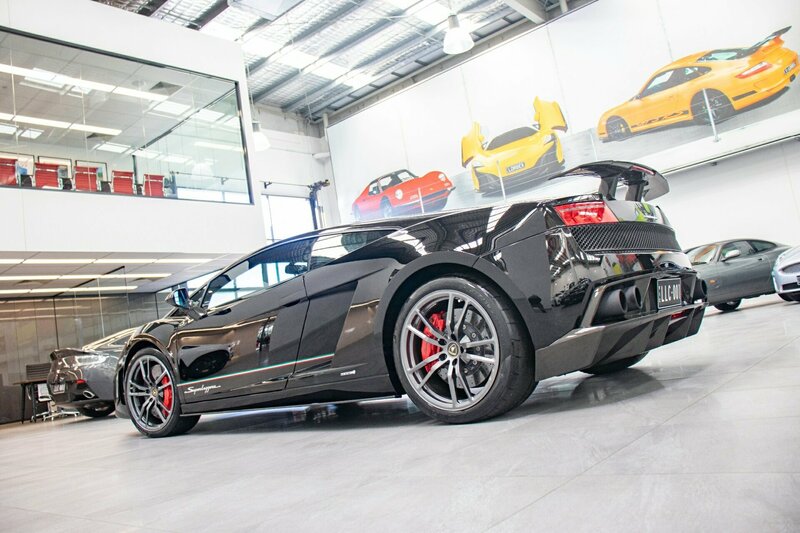 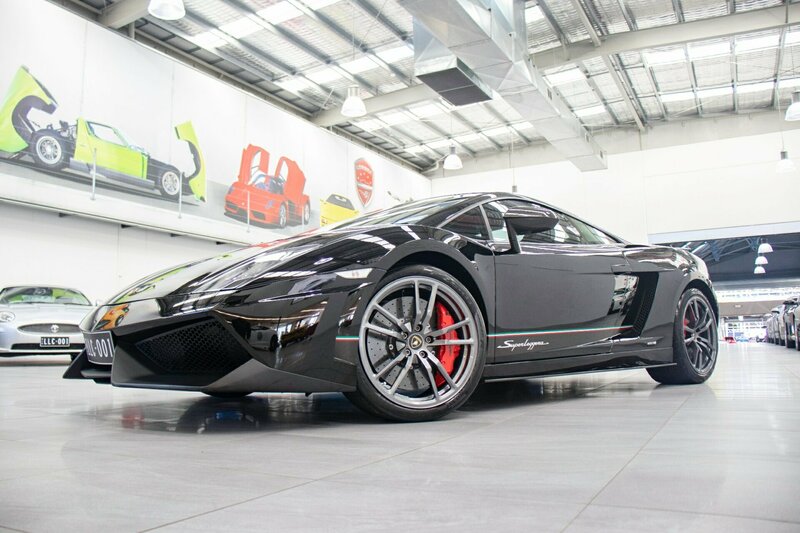 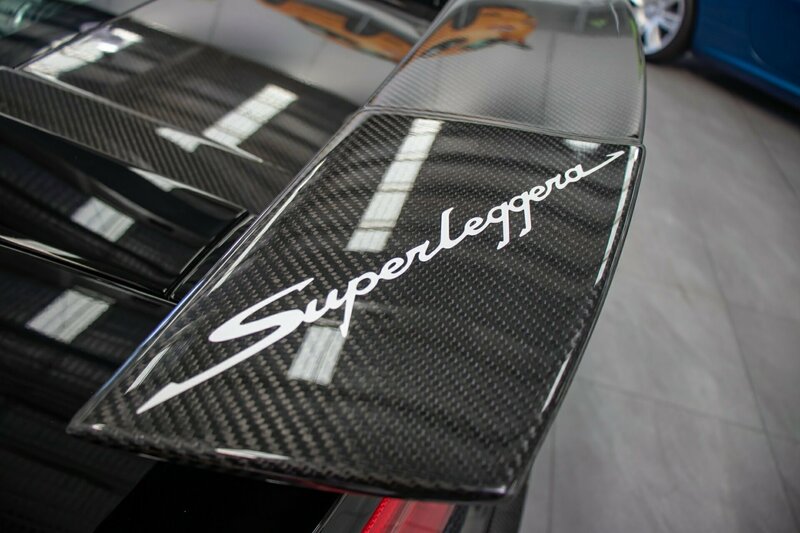 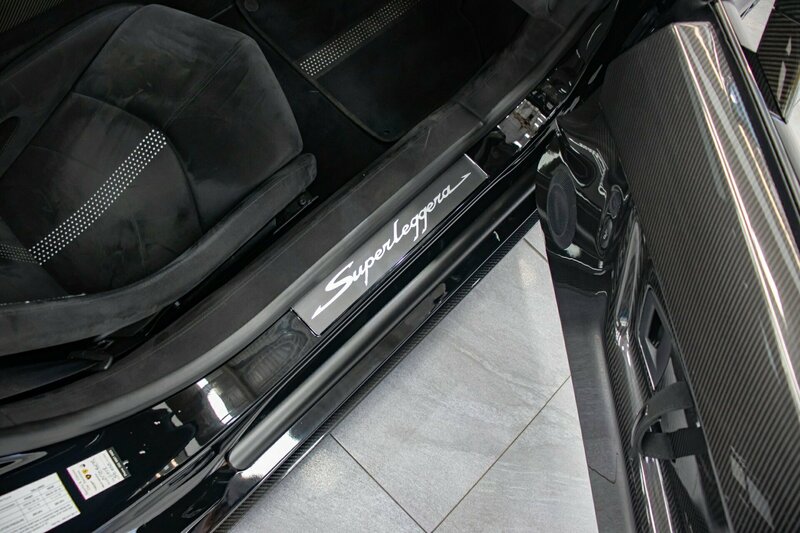 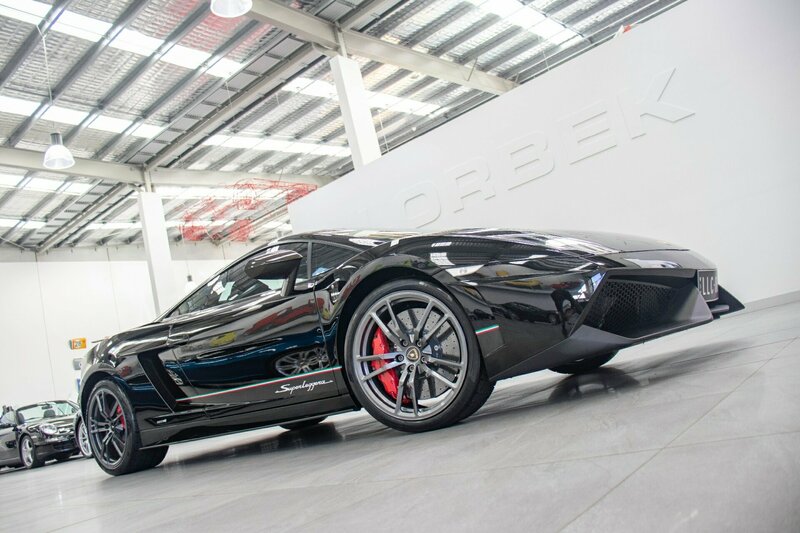 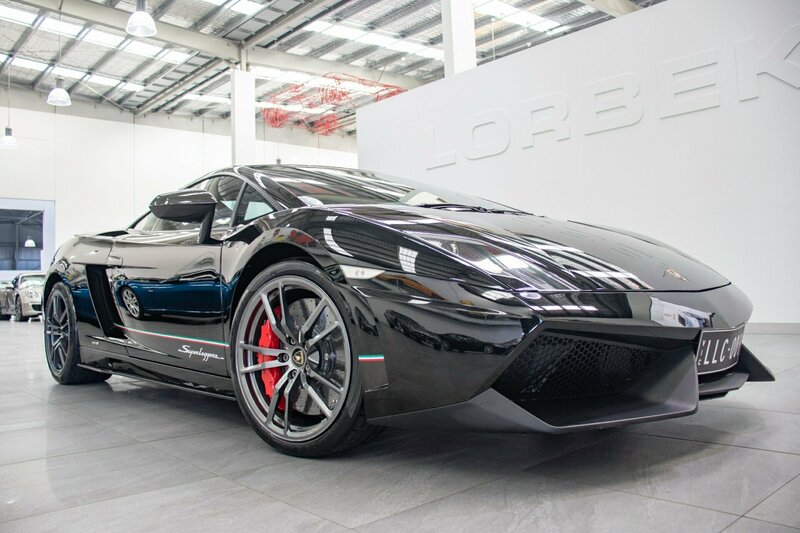 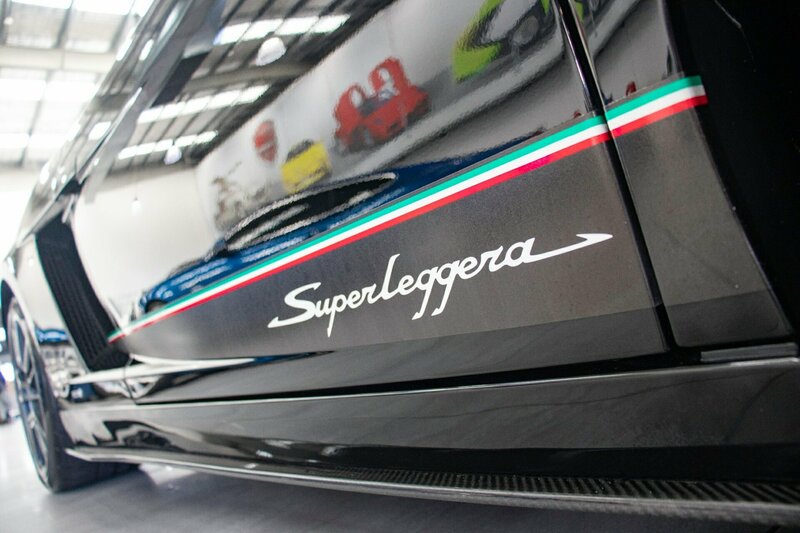 This SUPERLEGGERA is beautifully presented in Nero Black with soft ash black alcantara lined CARBON FIBRE RACE seats, FULL CARBON FIBRE (exterior and interior) PACKAGE, FULL EXTENDED ALCANTARA throughout including dashboard, steering wheel, roof lining, distinctive double stitching throughout. 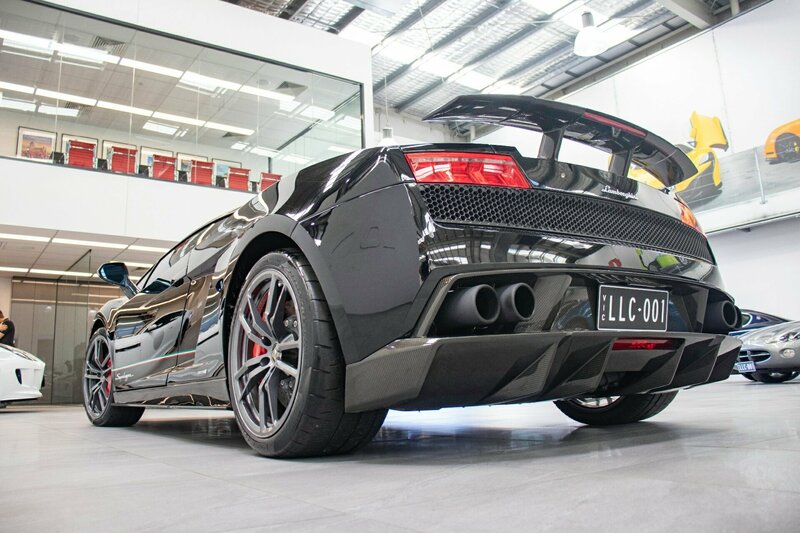 CARBON FIBRE rear diffuser, undertray, rear splitters, engine cover, rear wing, rear view mirror housings, interior door panels, central tunnel, engine cover, titanium wheel nuts and carbon fibre sports seats, as well as a factory horsepower upgrade over the standard Gallardo and optional CARBON CERAMIC BRAKES and optional FRONT LIFT KIT. 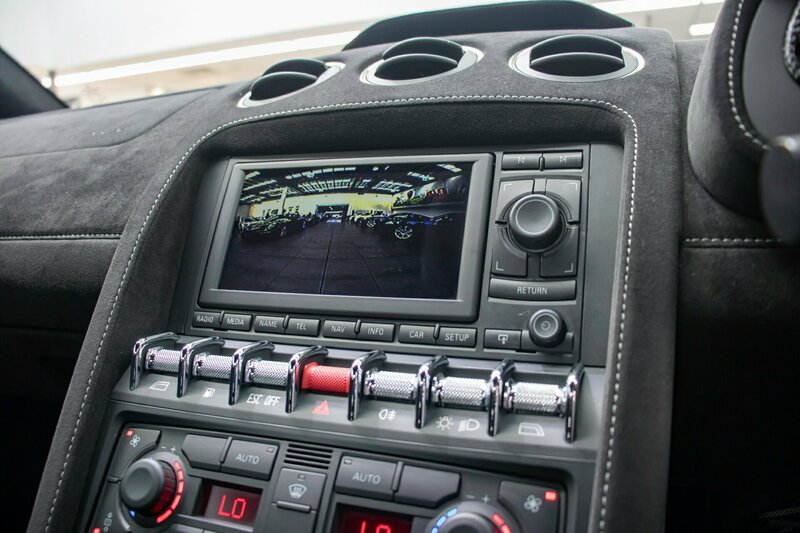 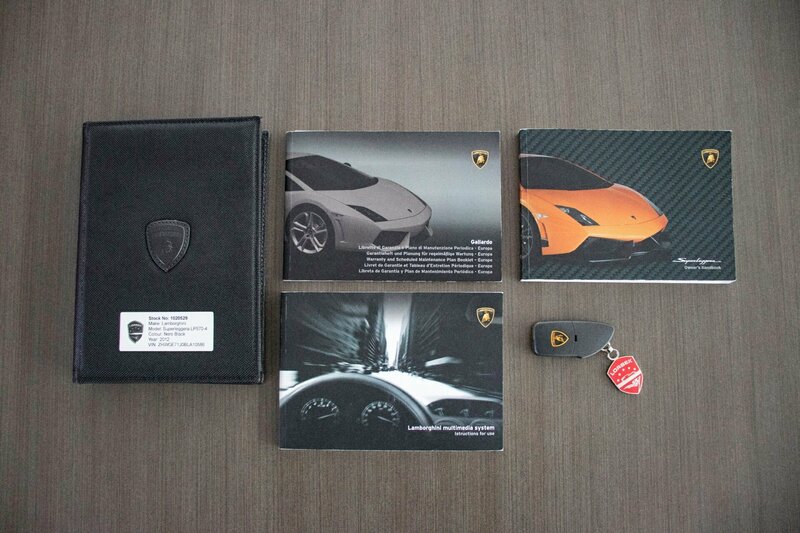 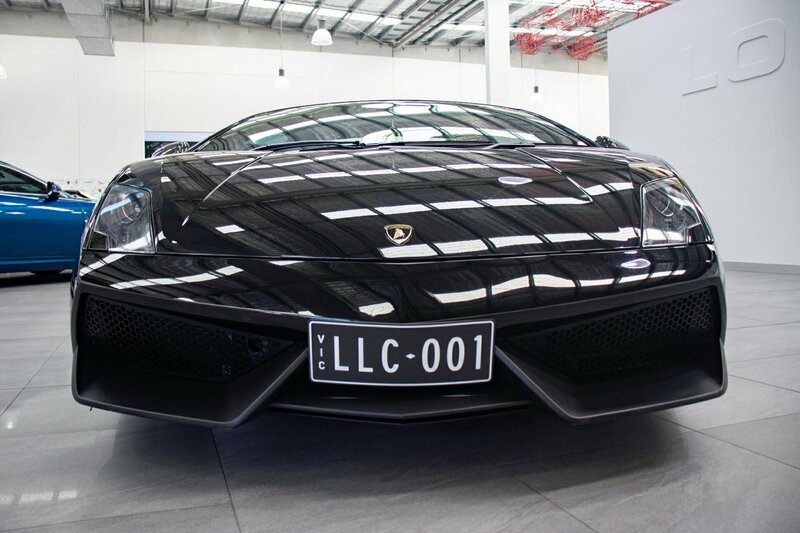 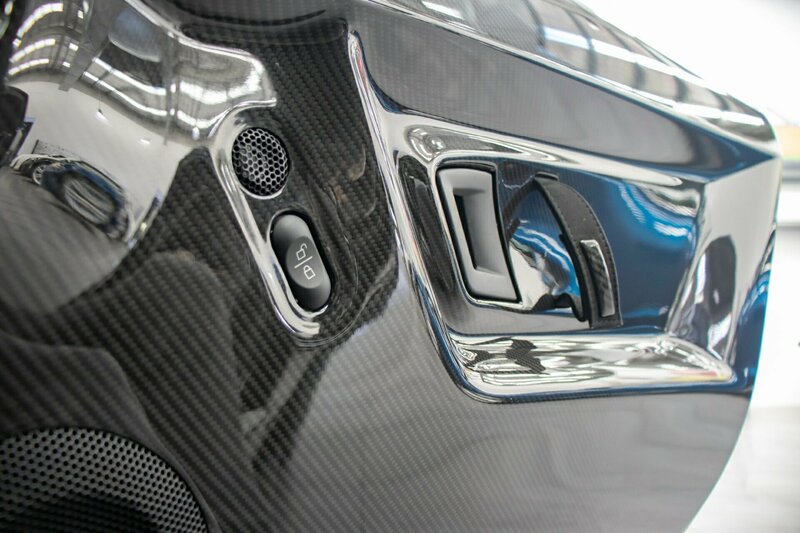 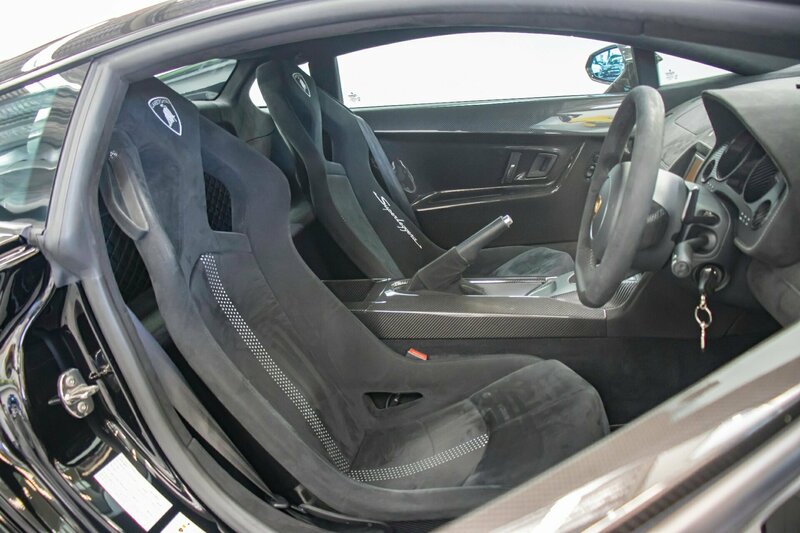 Titanium grey interior trim accessories are used right through with a full Lamborghini branding package. 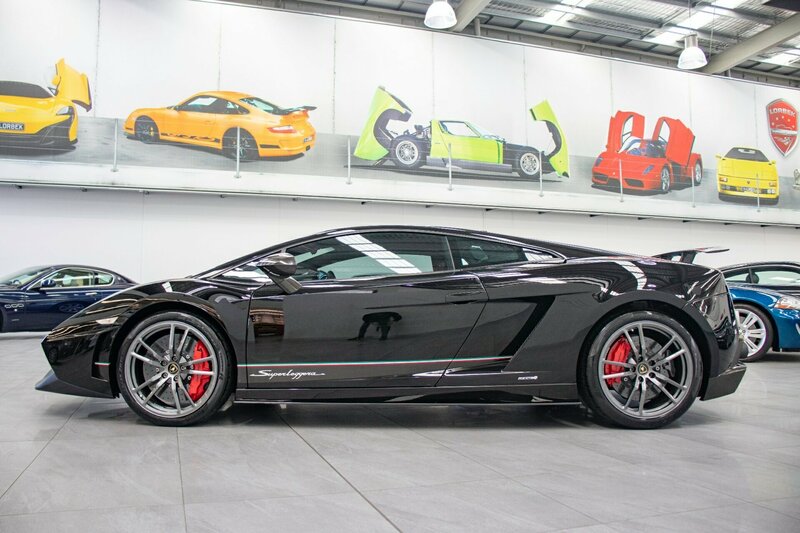 Full electrics throughout including, power windows and mirrors, multi-function monitor with on-screen trip computer, multi-media system premium surround sound CD stereo, upgraded stereo system, dual zone climate control, paddle-shift sports steering wheel, Xenon head lights, tinted windows, factory floor mats, specific shadow grey Superleggera alloys with red Lamborghini branded brake calipers and so many more extras. 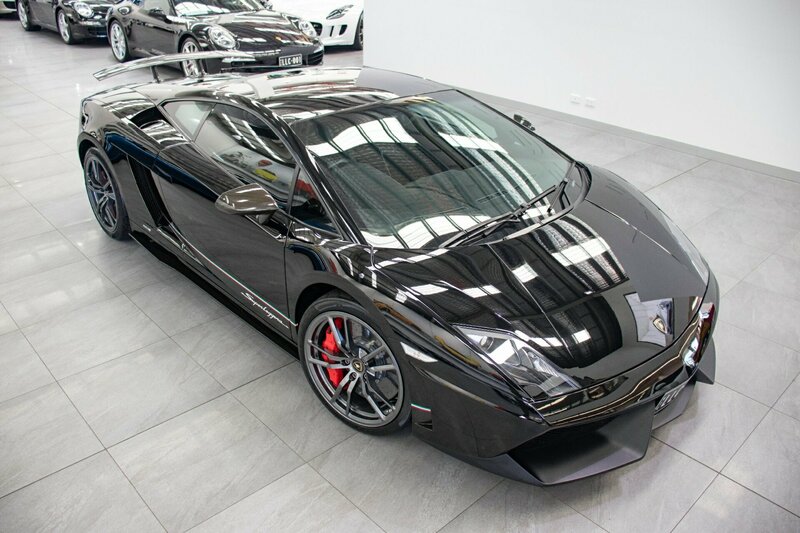 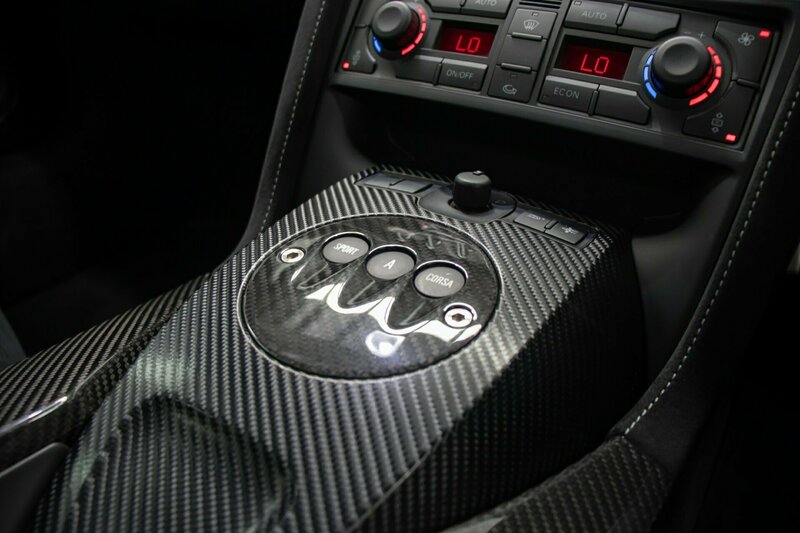 An absolutely spectacular collectable (undervalued) exotic supercar, fully documented LAMBORGHINI SPECIALIST service history from new and up to date with current scheduled service JUST COMPLETED, with all new car warranty and delivery hand books, complete service handbooks and both original issued new car keys. 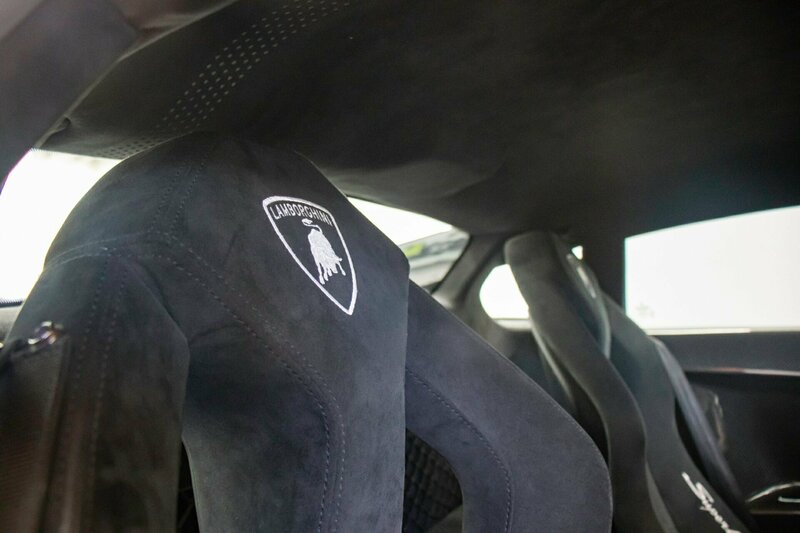 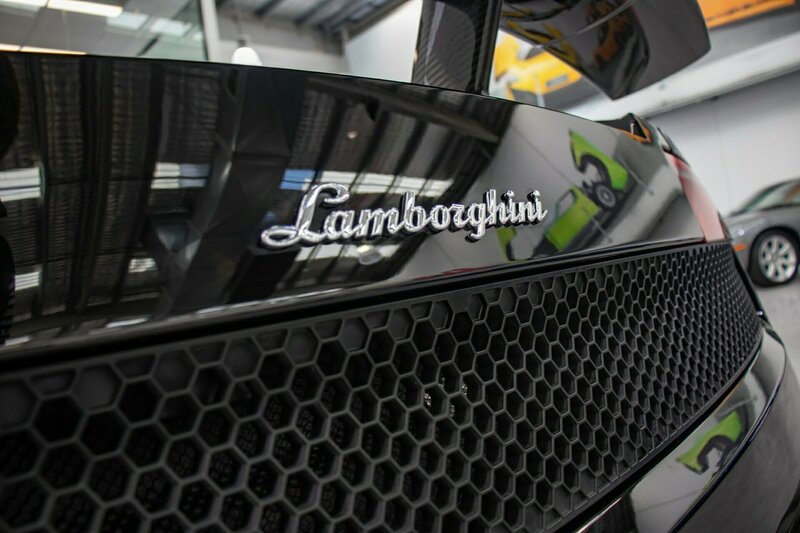 Take advantage of this opportunity to secure an exclusive limited numbered lightweight high performance Lamborghini. 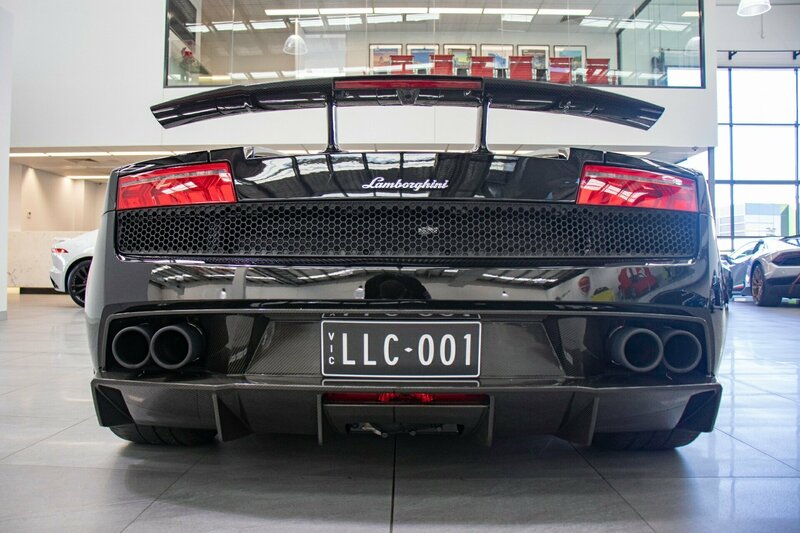 Will suit the most astute collector or investor who wants to own what is very a limited edition exclusive rare Lamborghini. 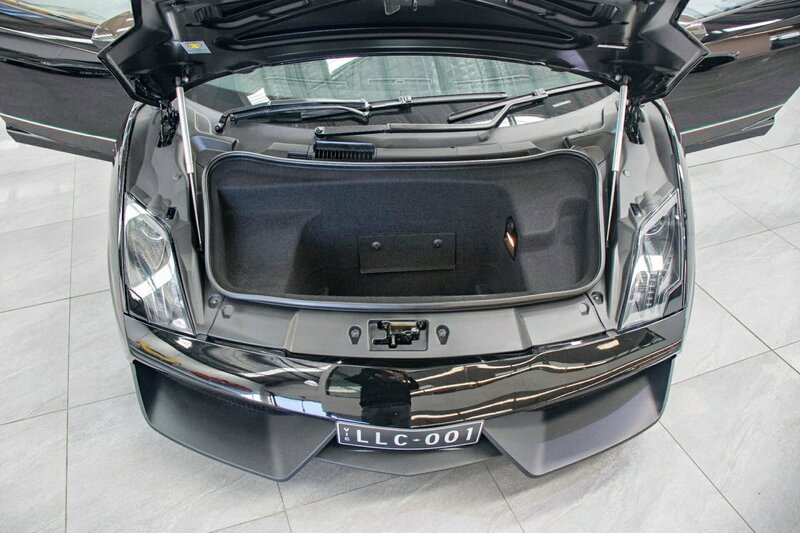 This rare collectible is a secure investment and will only INCREASE IN VALUE. 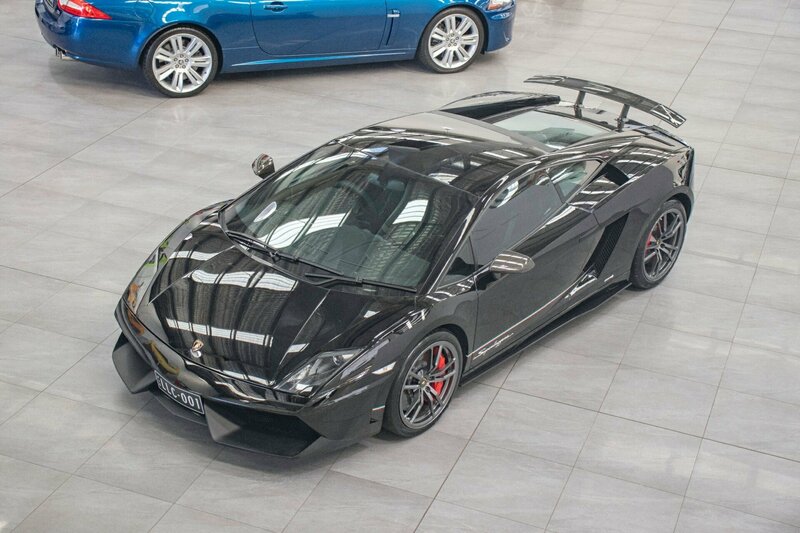 Future rare upcoming collectable. 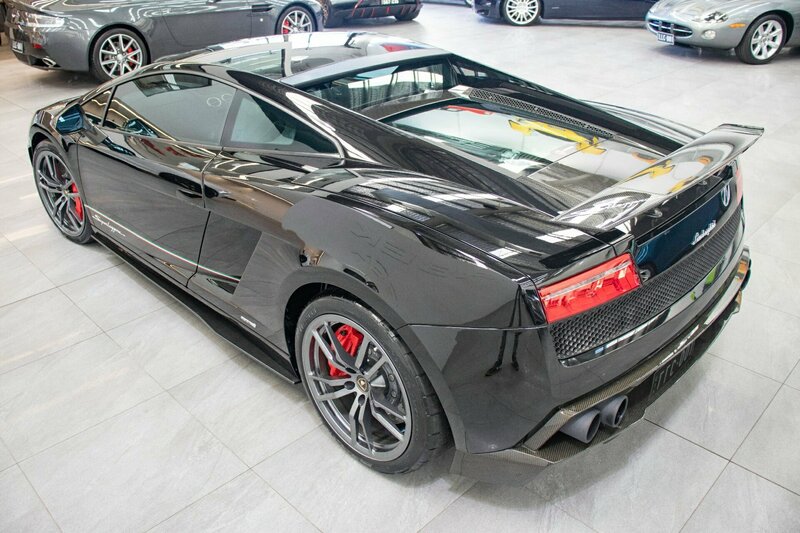 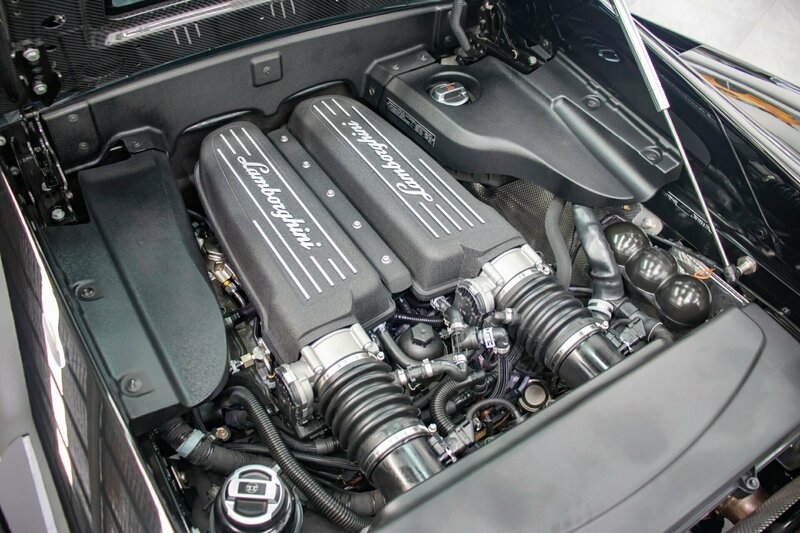 We expect this very specific super exotic, supercar to sell quickly, please inquire asap to avoid disappointment. 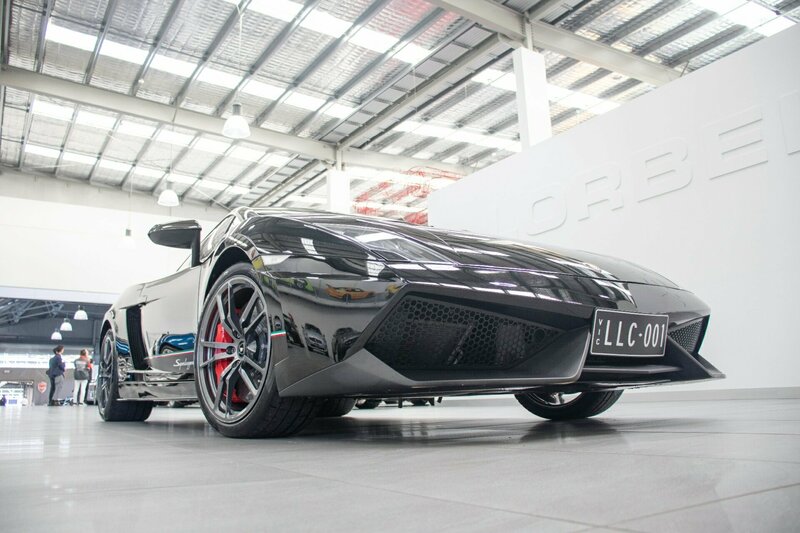 First to see and drive will buy immediately only for $289,990.